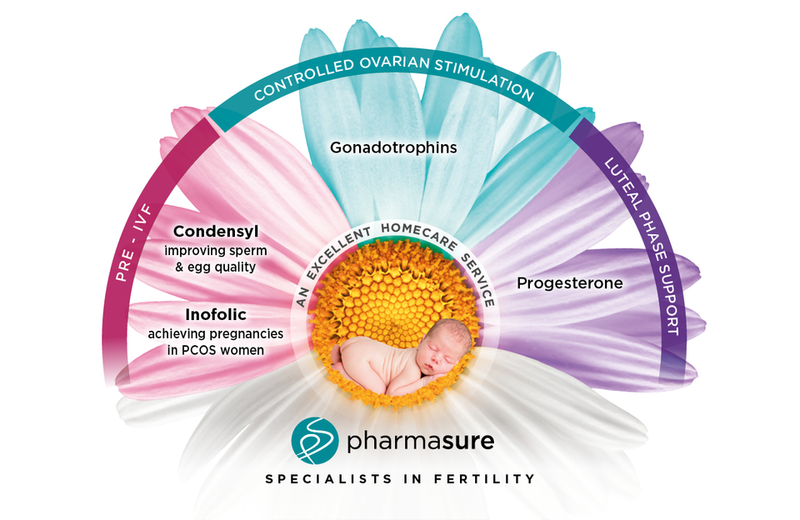 Pharmasure is a private, UK-based pharmaceutical company that specialises in fertility products. We work with both NHS and private clinics across the UK. We are the exclusive UK distributor of the IBSA range of fertility medicines which include gonadotrophins and progesterone. These medicines help parents-to-be during fertility treatment such as IVF or ICSI. We also distribute dietary supplements that help to improve the chances of building a healthy family. We supply these fertility products to hospitals, clinics and patients across the United Kingdom. Gonadotrophins are hormones that are normally produced naturally by the pituitary gland. Our products are made from natural sources and are used to treat fertility problems in women and men. Gonadotrophins may help women to ovulate or men to produce sperm. Progesterone is an important hormone that is present in natural pregnancies and is given after in-vitro fertilisation to help the embryo implant and to maintain it during the early stages of pregnancy. Are having assisted-conception treatments, such as in-vitro fertilisation (IVF) or intracytoplasmic sperm injection (ICSI). If a fertility clinic has engaged our services, we can dispense your medicines. Our team of pharmacists and dispensing assistants are on hand to discuss individual prescriptions and make arrangements to deliver to a chosen UK delivery address. Feel free to call our Customer Care Team on 01923 233466 who will help in any way that they can. We will always provide clear, transparent information.